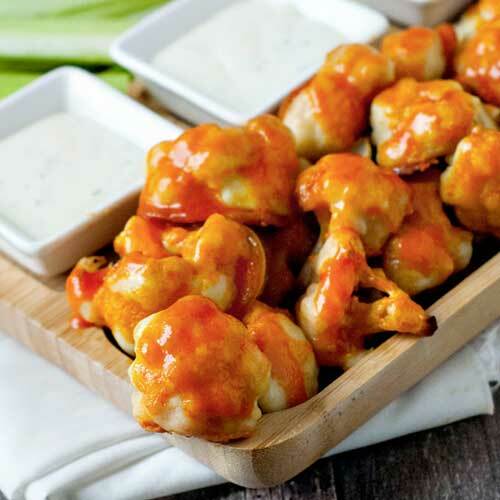 Crispy baked cauliflower florets tossed in a buffalo sauce make snacking light and delicious! Ranch or blue cheese dressing and celery sticks to serve. Combine water, flour and garlic powder in a bowl and mix until smooth. 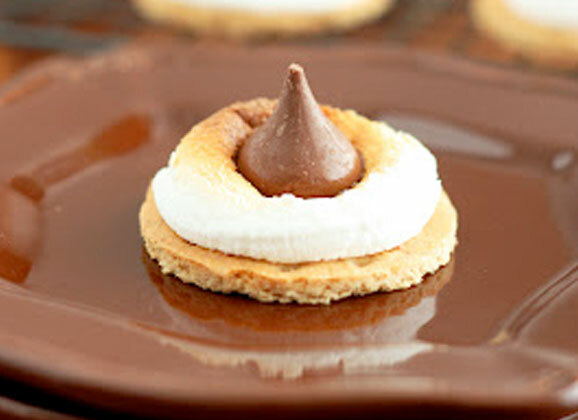 Dip each floret in the batter and place on a greased baking sheet. While the cauliflower is baking mix together butter and hot sauce in a small bowl. Pour the hot sauce mixture over the cauliflower and bake for an additional 5 minutes. Serve with dressing and celery sticks.